RAPAPORT... Three watchmakers have reportedly stated their intention to leave Baselworld following Swatch Group’s exit from the Swiss show. Zurich-based Maurice Lacroix will not participate in the 2019 event, a Baselworld spokesperson confirmed to Rapaport News. Corum and Raymond Weil have also chosen not to attend, citing the high cost of exhibiting and claiming the trade show lacked fresh ideas, according to reports. Swatch Group announced in July it would not return to the show next year. However, LVMH Moët Hennessy Louis Vuitton, Rolex and Patek Philippe are among the luxury brands that still have contracts with the show for the 2019 edition, Jean-Claude Biver, LVMH’s departing watch chief, said in an interview with CNN Money Switzerland earlier this month. Those companies will use the 2019 fair to assess what the 2020 event will be like, but will probably leave if the show’s management doesn’t find solutions to problems Biver has identified, he added. For instance, he called for the show to take place earlier in the year than its current March date. 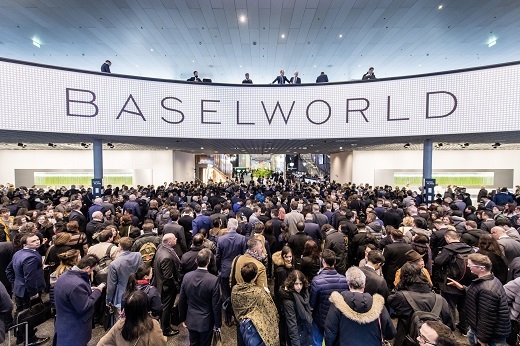 Baselworld organizer MCH Group has reduced exhibitor fees and other participation costs for the 2019 event, a major area of contention in previous years, the show’s spokesperson continued. The company will also look into speaking with restaurateurs and hoteliers surrounding the exhibition hall to negotiate lower prices for participants, he said. Organizers will release further information about the outcome of those talks at the end of October.